Between February and October 1917, in the Russian Empire, devastated by the World War, epochal changes occurred that influenced all the countries of the earth. Once again, a revolution had questioned all the political and economic relations that governed the life of society. The first revolution of the industrial era. The impetus of this transformation spread all over the world from Asia to America, from Africa to Europe. Such an important event that gave momentum to the arts and culture by emerging great innovators such as Sergej Ėjzenštejn, Dziga Vertov , Leon Theremin or Vladímir Majakóvskij. 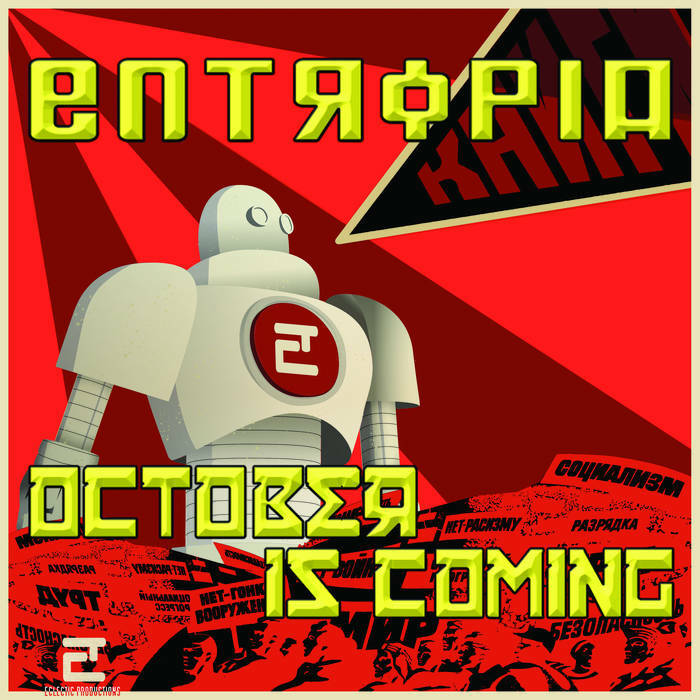 Entropia collective wrote this music dedicated to this great event using samples, sounds and suggestions from soviet age. Fragments of speech, sounds, songs, gears have been digitally treated and constitute the frame of this album divided into four long movements. The First Movement is about Russia inside the Great War. The Czar army is defeated and demoralized and the population is hungry. The Second Movement is about the February Revolution. The bourgeois forces, with the help of the proletariat, lay down the Tsar and set up a provisional government but the war continues. The Third Movement is on the return of bolshevik leader Valdimir Ilic Ulianov (Lenin) back in Russia and on the “The April Theses” where he wrote his will to end the war and give all the power to the popular assemblies (soviet).